Just wrapping up 4 weeks of taping shows in California. It feels like the end of quarter rush is forcing a predictable cadence on us. We started the quarter (August) feeling a bit uncomfortable about how much taping we were NOT doing. A perfect rhythm, something to strive for, is 3 parts research and prep with 1 part production....repeat. This forced us into swapping those and having to get good at fast, overlapped planning. Monday, a rare day home during a taping week, included TWO meetings at the high school with the PTSA/Sophmore parents and, booster club, of course. Tuesday morning was off on the normal American Airlines commuter flight to San Jose. Thursday, October 5, was our Services Launch recording. We got involved with this one late, Yaniv had noticed we had nothing planned for it and although we were already 'booked' for the rest of the quarter, we were asked to squeeze this in. I am glad we did. Despite the lack of script feedback during the planning process, we got to do the show with Joe Pinto (VP of Technical Services) and Bryan Palma (VP of Advanced Services). 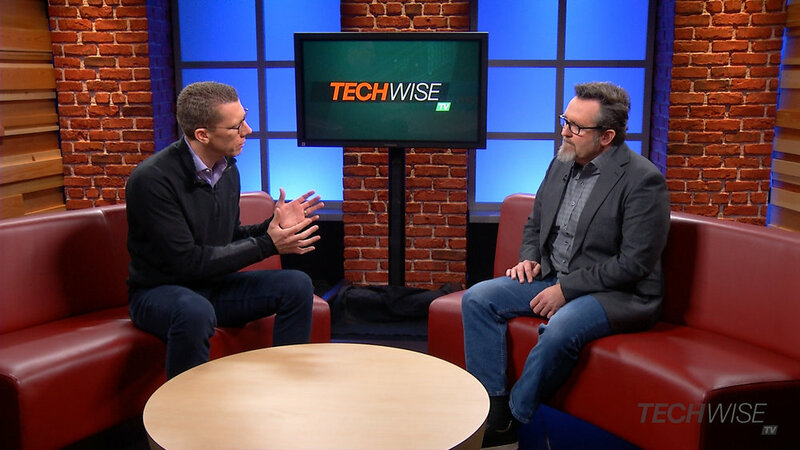 Both were great fun to work with and brought some energy to a topic that is always hard for us to cover on TechWiseTV. Flew back out to San Jose on Monday, Oct 9, (Columbus Day) so that we could tape TWTV219 the Cisco ONE DNA Licensing Show. This one had been plagued by strange, non-existent feedback in the week leading up to the taping...and then over the weekend, we were told that Pankaj Gupta would not be with us on our taping date...so we scrambled to re-assemble the show that was still taping on Tuesday, but would only have one guest. Our plan at that point was to re-tape with Pankaj in 2 weeks...forcing yet another trip to San Jose for me at the very least. As it turns out...Pankaj was one of the 60 people getting laid off of marketing (as I understand it). We had an emergency org meeting with our boss, Yaniv on Tuesday and we learned that we would be all moving into the Corporate Strategy and Brand team. We would be doing this without our manager as he was (choosing) to leave. Wednesday was our taping for TWTV220, Encrypted Traffic Analytics. I had been looking forward to this show, not just for the topic but for the enjoyment of planning it with TK Keanini. He was the CTO of Lancope which Cisco acquired a few years back and he is a smart, passionate, great leader to work with. He got us everything we needed quickly, communicated in advance of the shoot, etc. I hate to admit how rare that can be...or at least how rare it was for these few busy weeks. Back out to San Jose, Oct 16 for what was finally the final stretch of these last few taping weeks. 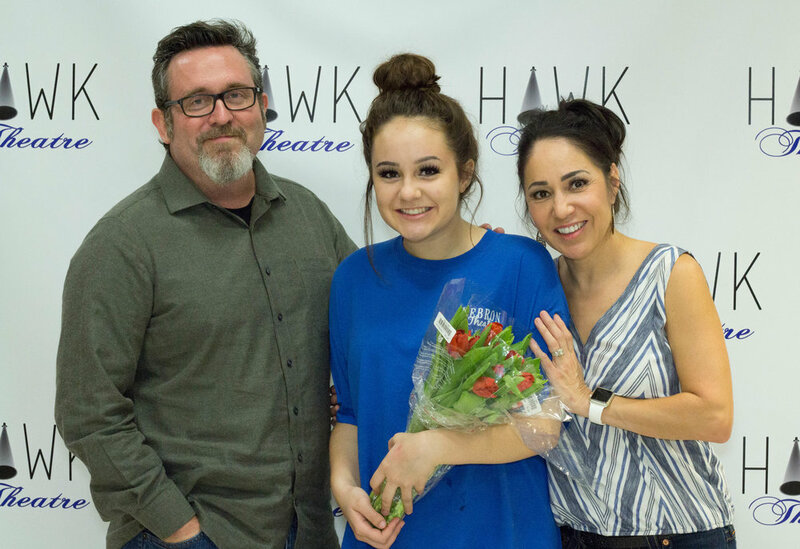 Lauren has been leading the writing of these last few shows....but there has not been much to work with. We had Hank Preston as our primary guest on one show: 'TWTV222 NetDevOps' so I was not too worried. First, I had to get through a small presentation of 'Unscripted'...as I was hosting our 2nd episode, a live interview with Joseph from Avanade on the 17th. I had mistakenly scheduled that for the same date and time as the 'live stream' of the services launch show (the one we taped a few weeks back...read above). I was not really needed for that so time was OK I guess...but I was conflicted about tweeting heavily to ask for attendance of one show vs the other. Either way, the interview with Joseph went really well. The day was not over...it was still morning and i had get over to building 8 to work with producer Christian as requested by his stakeholder, Ken Spears. 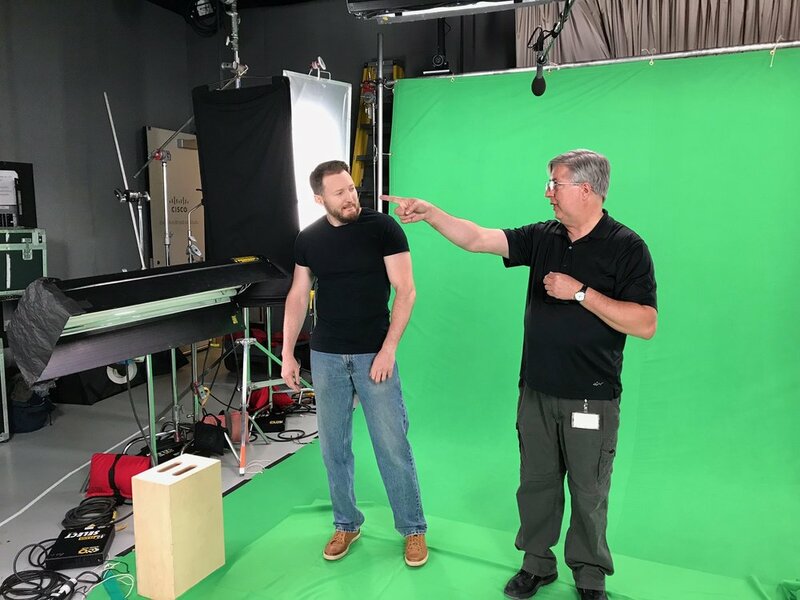 Ken had wanted a short set of videos where I thought I would be hosting UCS engineers...but I found out at the last moment that they were looking for sound-bites on green screen. 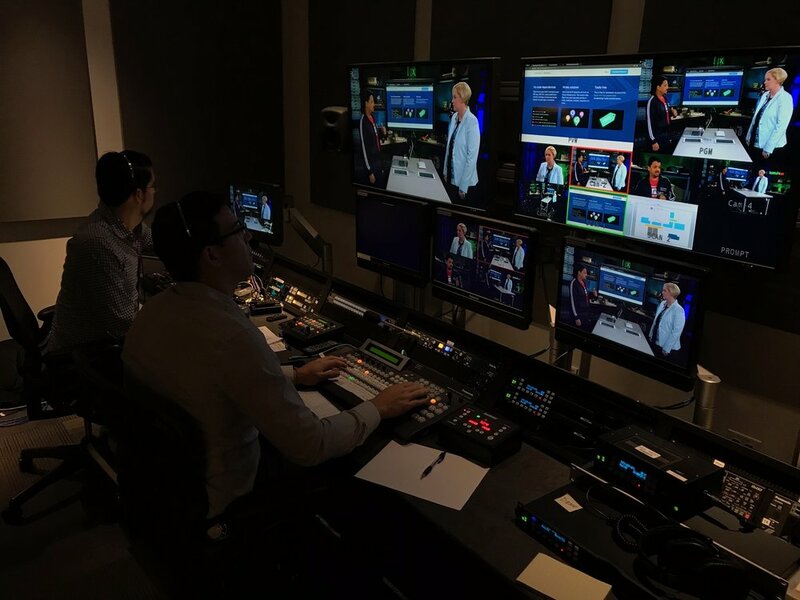 So I just hung out in the control room and let Ken ask all the questions (it is amazing how tired that can be)...and I listed to hear what kind of content they were going for (since I had not heard any details from Ken until the night before). I was waiting to do opens and closes only...but by the time they finished up...Ken was tired and nobody had written any scripts yet...so I let Ken know that I was in studio for two more days...if he wanted to take a break, write some drafts up, that would give him time to think and me time to re-edit before recording....we finally recorded them in the TechWiseTV studio (four opens and four closes) on Thursday morning. All good. For Wednesday, Hank was really great to work with. We had him both with me for one segment and another with Lauren. He lead the energy, took direction and overall, just nailed it. We are still trying to get our developer series going...this would be one of more we hope to do, directly with Hank, where possible. But we also had a show that was even less planned to tape the next day, Oct 18. TWTV223 DevNet Fast Lane Validation was our next in the developer series focused on things that I had covered with Jerome Henry awhile back (TWTV205) concerning our partnership with Apple and what it yielded for their devices when on a Cisco network. So I wrote a set up for that (the same morning) and after we recorded with Tom Greer and had Ashtuoush in the lab with Lauren...we pushed ourselves to get the slightly more complicated open to the show completed before we broke the whole crew for lunch...and actually for the whole day. It went well, and I like what we got.